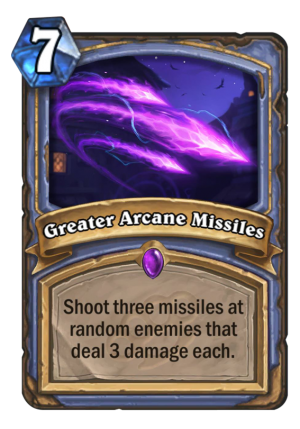 Greater Arcane Missiles is a 7 Mana Cost Epic Mage Spell card from the Mean Streets of Gadgetzan set! Really surprised at the low score here. 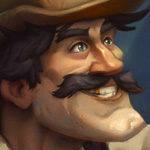 I love mage and can’t wait to try and make it work. Probably going to see more of counterspell to set it up. this card is probably the strongest of the set. After a board clean is 9 dmg to face. Have you thought how spell power affect this? it affectevery single missile, so +1 spell dmg turn 9 dmg to 12. 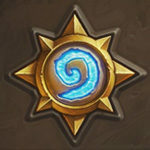 One Malygos-opponent’s face turns into soup. say spell damage +2 on an empty board. 15 to face. Guys, having spell damage on the board and playing this would only make each tick deal 1 extra damage, not to say that that isn’t good or anything. It works this way because they chose to write “Three missiles” and “3 damage”. When a spell is empowered by spell damage, the number on the cart changes accordingly. If they wanted the cart to send out more missiles, they would have written “3 missiles” and “three damage”. This might be a foolish question. But if we have magic dmg buffs along with this spell. Isnt it going to be somewhat useful? – because I am assuming it can deal 4 or higher dmg to each unit. 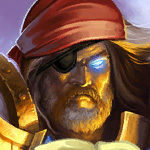 Why would we play that.Also if you have SPD on a board,will each missile deal 4 damage+?If yes-might see some play. Well than it’s gonna be nice.But still.If this card costed 6 mana it would be much better and still not broken(probably). 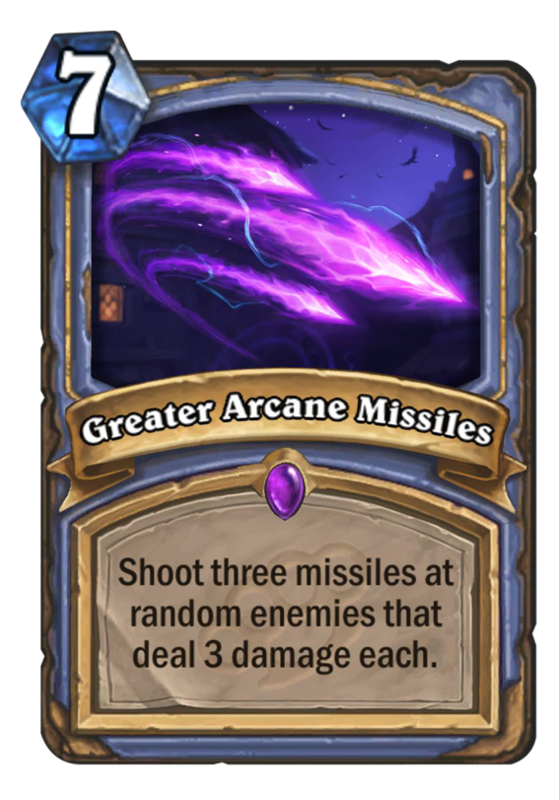 If you look at the text of both it makes sense, but this will deal 4+ for each missile with spell damage but stay at a constant three missiles. SEE: Arcane Missiles – deal 3 damage randomly split among enemy characters. This is the same as Avenging Wrath (8 dmg randomly split) and says nothing about the actual missiles themselves. Instead the amount of damage being split is increased and so the number of missiles is actually just matching the total damage. +X Spell Damage only ever effects the damage amount, notice it doesn’t add onto the healing from Holy Nova. 7 mana isn’t a bit too much for the other version of this card?